While most of scientists are looking into using nuclear fusion or solar power as the solution to our future power needs, Stephen Hawking is looking at a more unusual source: Black holes. 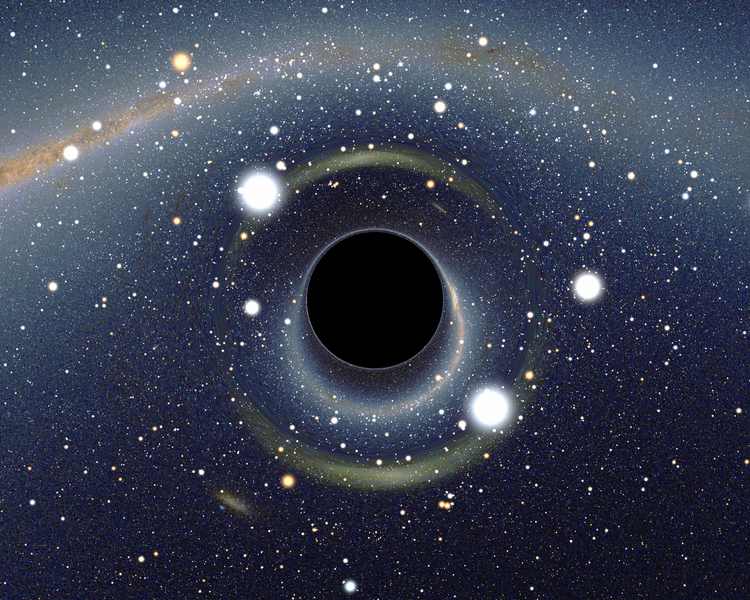 The renowned physicist has claimed that developing technology that could harness large black holes could provide enough power to supply the needs of the entire Earth. In a recent lecture, he noted that a black hole the size of a mountain would be giving off rays that could be harnessed and provide most of our electricity demands. “A mountain-sized black hole would give off X-rays and gamma rays, at a rate of about 10 million megawatts, enough to power the world’s electricity supply,” Professor Hawking said during this lecture. Sounds like a plan, right? But to accomplish this, not only do scientists have to find a nearby black hole, they also have to figure out how to harness this without exposing much risk to Earth. And while the project is technically feasible, it is not practical…with scientists noting that it would take more than 10,000 years before such a feat is accomplished. Yet, if we are extremely and unabashedly optimistic, we might hope that we can shave off a few thousand years. But even then, it would be something that our great-great-great-great-great (keep going for some time) grandkids still wouldn’t live to see. However, perhaps there are advanced alien civilizations that are older than our own who have already mastered this technique – an interesting idea, but one that (of course) currently lacks hard evidence. And if there is one major drawback to this plan, it would be the fact that many black holes that we are are massive. They are billions of times the size of our Sun, and they live at the hearts of galaxies. Black holes ten of times the size of the Sun exist throughout the universe, but the existence of mini (in comparison to normal black holes) black holes have yet to be directly confirmed, despite many researchers theorizing that they exist. Yet, some scientists are skeptical that tiny black holes could exist. While these could have been formed early in the history of the universe, when most of the matter in the cosmos was condensed in hot plasma, an important assumption would be that certain regions had a high level of density fluctuations that would allow matter to collapse on itself to form such a black hole. For such a thing to occur, the numbers of observed black holes in the universe would have to increase. Even if a mini black hole could be found, reaching one could potentially take tens of thousands (or even 100,000) years. Thus, to make harvesting of energy more efficient, future scientists would have to use the gravity of a much larger object that would allow it to be dragged near Earth’s orbit. At this point, they’d also have to come up with a way to shield the Earth from the radiation emitted by the black hole. However, Stephen Hawking remains undeterred in his vision. He notes that further research might allow us to create our own micro black holes in the extra dimensions of space. For the moment, most scientists are bearish on the prospects of Hawking’s proposal. The Large Hadron Collider has yet to find these extra dimension despite multiple experiments. If the particle collider is even able to produce a black hole, scientists estimate that it wouldn’t last for more than 10 raised to negative 23 seconds. All-in-all, it is rather unlikely that the future Earth will get its power from a black hole. Based on our current technology and knowledge of physics, the feat seems near insurmountable. But apparently, it is at least theoretically possible.